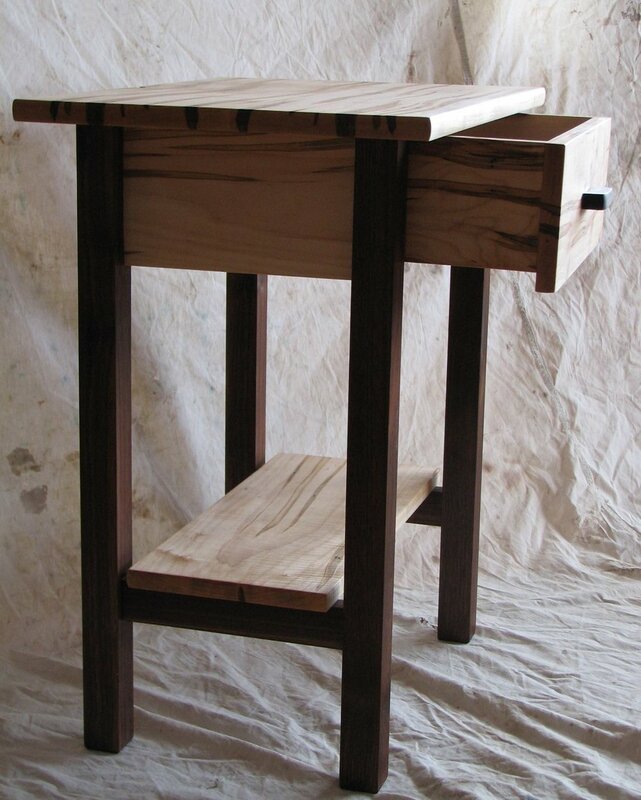 Gary Havener of Ace in the Hole Woodworks is a Laramie, Wyoming based artist who uses woodworking create original furniture that will be on display and for sale at the 6th Biennial Touchstone Laramie Art Exhibition hosted by the Laramie Artists Project. Gary has worked with wood for well over 50 years. From bows to log homes to fine furniture, he enjoys the challenge of making usable items while showcasing the individual beauty of the wood. He prefers working with sustainable, North American hardwoods and tries to select that wood directly from the small, owner-operated mills they buy from in the Midwest. Walnut and maple are his favorite woods to work with, although he often finds usual woods, such as spalted hackberry or mulberry at the mills. Because he produces one piece at ta time, he can choose individual pieces of lumber for a specific piece. Bringing out the beauty of a unique piece of wood is rewarding. Working with a client to blend the wood’s beauty with their dream is even more so. I have made complementary chip carved end pieces for an antique desk, and designed staircases to mimic those in a client’s favorite TV show. Gary prefers to use hand tools - Japanese as well as traditional European ones - to bring out the luster of lumber. The true beauty of many of his pieces lies in their joinery, which is often hidden from view but creates a stable, multigenerational piece. Gary lives on the side of a mountain, in a cabin he built from logs he harvest and set himself. Inside the house are tables, bows, and even wooden spoons he has made himself. 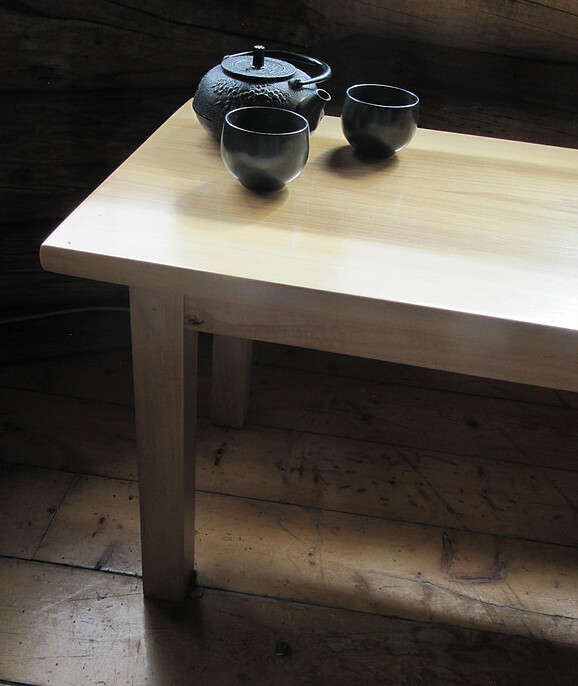 His work is distinctive, with smooth lines, carefully chose hardwoods, and intricate joinery. Gary has been building with wood since he was a child, mostly practical things, although he has been known to carve even horses. He is the man who you will find under a table or chair studying the art of your house when you aren’t looking. Furniture and its constructer intrigues him. Just don’t call him an artist. He says the creator of the wood he uses is the artists. What do you think? 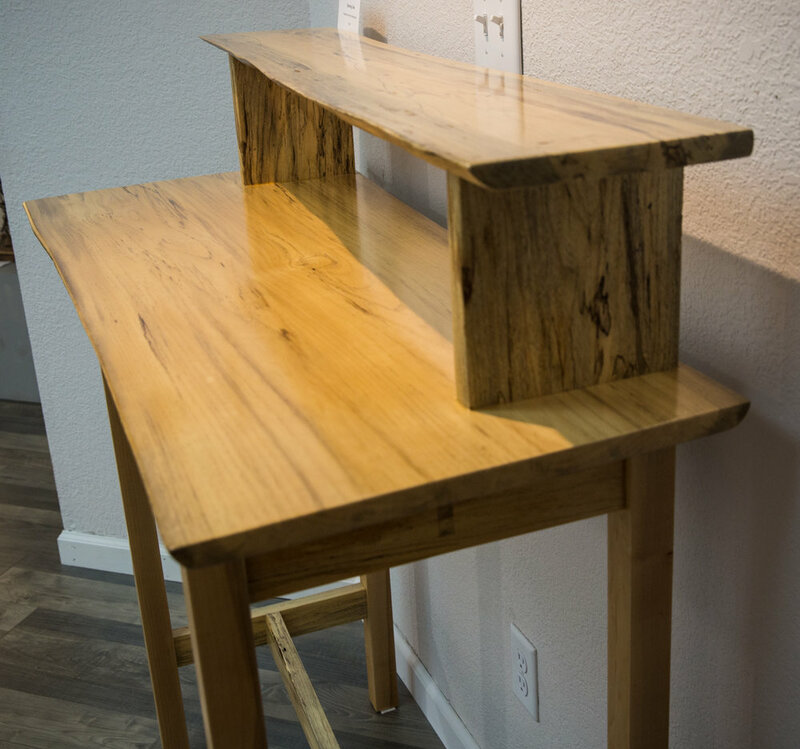 You can see more of Gary’s work or commission a custom piece of Wyoming furniture by calling (307) 742-9204 or visiting him on Facebook at https://www.facebook.com/Ace-in-the-Hole-Woodworks-703276476430420/ or his website http://celesteandgary.wixsite.com/ace-in-the-hole. This is Gary’s 3rd time exhibiting at Touchstone Laramie and his 5th year as part of the Laramie Artists Project. This years he will exhibiting new original and unique wooden furniture for the 6th Biennial Touchstone Laramie Art Exhibition on November 10th and 11th, 2018 at the Fairfield Inn and Suites in Laramie, Wyoming.